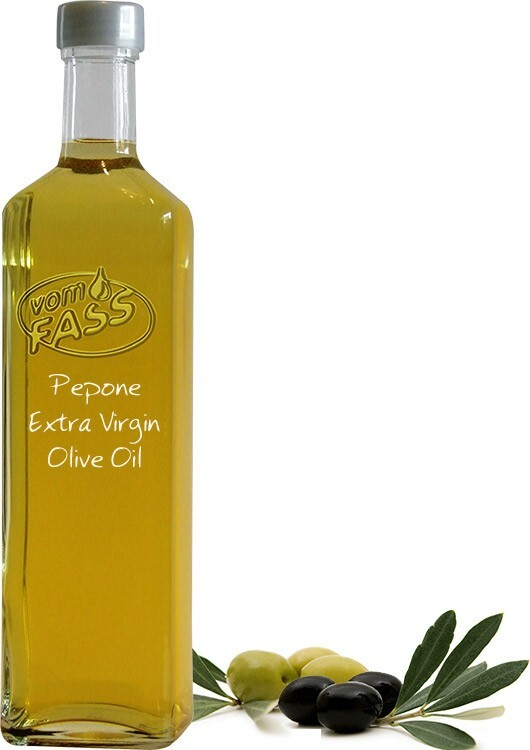 Originating in Tuscany, Pepone offers a healthy and unique flavor to all of your dishes, especially salads, vegetables, and pastas. 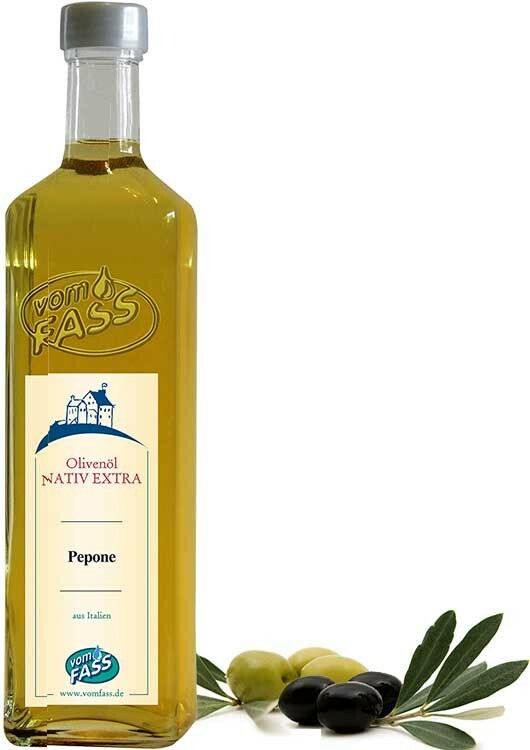 As the only lightly filtered olive oil we carry, Pepone can sustain higher heat in cooking. 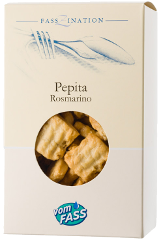 A mild taste and smooth finish define Pepone, making it an excellent choice for the beginner gourmet.  This medium-light-bodied oil delivers a delicate and delightful flavor, with hints of artichoke, almond, and thistle. Originating in Tuscany, Pepone offers a healthy and unique flavor to all of your dishes, especially salads, vegetables, and pastas. 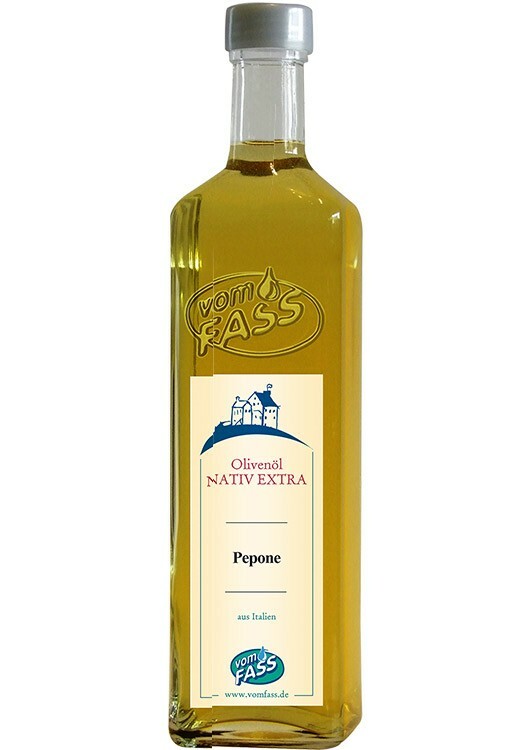 As the only lightly filtered olive oil we carry, Pepone can sustain higher heat in cooking.